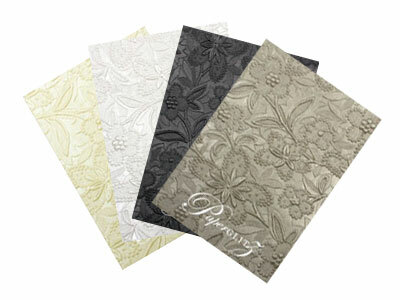 Our range of specialty mill made papers and cards include premium metallic, pearlescent and matte papers. 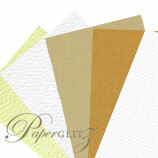 Our papers only come from leading paper mills in the UK, France, Italy, USA, Europe & Australia. 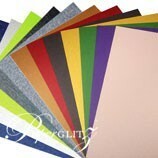 This is important in ensuring the consistency of colour and finishes between manufacturing batches. 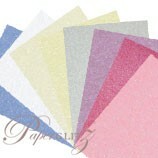 The paper we carry today has the same finish and shade as the paper we supplied last year. 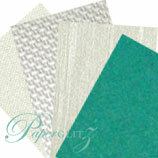 Smaller mills (such as found in China) can't provide this consistency - so we don't range them. 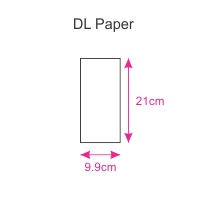 All of our papers and cards arrive into our warehouse in full sized sheets (between 640x900mm and 720x1020mm) in sealed moisture proof mill packaging. 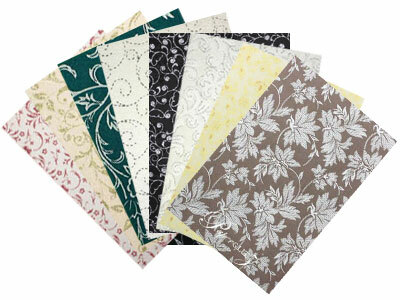 We convert by guillotining and/or die cutting into different sizes and products on our own machinery, in our own premises. 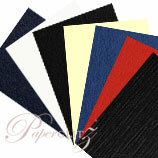 Don't waste days waiting for your paper to be outsourced for cutting like some of our competitors! 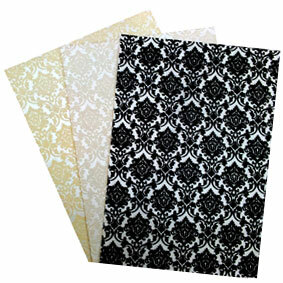 We cut in on the spot to ensure fast dispatch of orders. 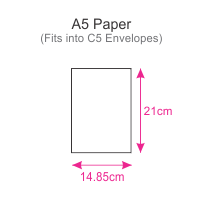 Our standard sizes include A4, A3 & SRA3. 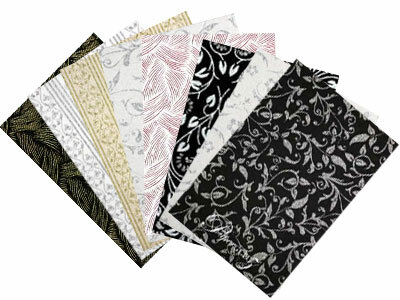 Larger or smaller custom sizes are easily accommodated. 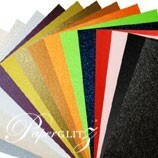 Buy with confidence and specify only "Genuine Paperglitz Specialty Papers" for your next project.